Electric car infrastructure company Better Place is bringing its battery swap stations to California’s Bay Area in a $6.9 million, three-year project that will see San Francisco and San Jose receive four battery swap stations and 61 electric taxi cabs, all operated by local companies Yellow Cab and Yellow Checker Cab. Better Place has been running a a pilot EV taxi program in Tokyo since April. 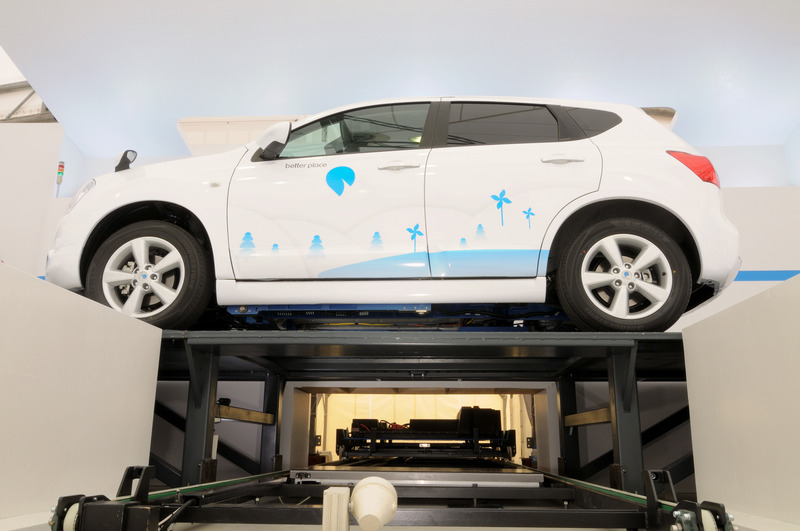 During the first 90 days of the trial, the three electric taxis traveled over 25,000 miles using Better Place’s battery switch station–a car wash-like machine that switches out old EV batteries for fresh ones in the time it would take to fill a tank of gas. taxis to be out of service for much longer periods of time,” Mullins says. And since one of the stations will be at San Francisco International Airport, tourists will get the chance to see Better Place’s slick robotic switch-out system in action.